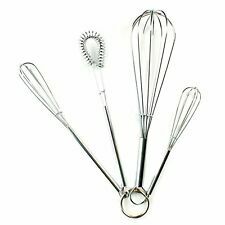 You could try to make one whisk fit all or you could maximize your mixing range with these stainless steel whisks. 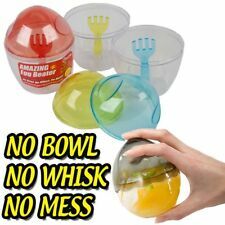 Try the largest whisk for big bowls of pancake batter, the midsize one for beating eggs, and the littlest for blending a small batch of vinaigrette. Specifications: • 7.75" Whisk • 7" Whisk • 6.25" Flat Coil Whisk • 5.25" Whisk Ideal for beating, whipping, and mixing eggs, sauces, and more. T&G Woodware Traditional Beech Wooden Cooking Stirring Spoon 8" 10" 12" 14" 16"
Set of 2 Mini Whisks from Fox Run. 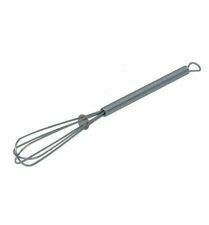 Use these smaller 7-inch long whisks for a variety of jobs. Great for mixing up smaller quantities of foods - mixing eggs, dressings, thin batters, drinks and much more! Dishwasher safe. Because of its small size, this whisk is ideal for mixing sauces, drinks etc. Ideal for making the perfect eggs. Christmas Tinsel. Frying pan appropriate. Baby & Toddler. Non stick. Tile Tools. Soldering / Torches / Glue Gun. Breakdown & Jump Leads. Amazing Egg Beater. 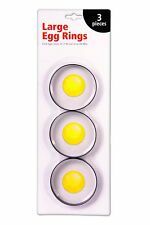 Simply shake to beat your eggs. Baking & Preserving. Garden Fencing & Borders. Perfect for any kitchen. Kitchen Essentials. Kitchen Disposables. Kitchen Miscellaneous. Great cooking spatula for eggs, pancakes and omelets! 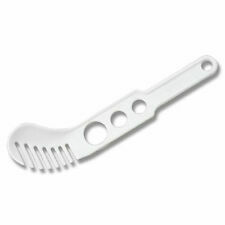 High heat resistant nylon spatula to 410F/210C. Has non skid handles with thumb grip. Compatible with all nonstick cookware. Kitchen Craft Large Beechwood Pancake / Crepe Spreader Paddle / Spatula - 35cm. 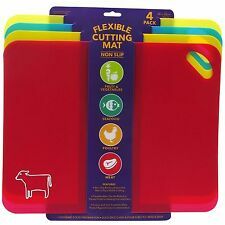 This is very multi-functional and can be used for things such as scraping pastry off surfaces. 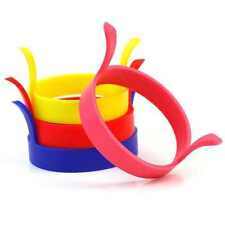 A semi curved bowl scraper flexible is brilliant for getting in to all those nooks and crannies. Size of this scraper 160mm x 80mm. Applicable scope: microwave oven, oven, cooker, fridge, etc The use and maintenance. When baking silicone cup should be open to the baking tray. Must not let the mold dry roasted. In the first and after each use, with hot water (diluted detergent) or in the dishwasher cleaning, do not use with abrasive cleaner or foam. Premium Quality Strainer With Handle. 2 Pan hooks. Heat prevention grip. Food Storage. Manufactured to a high standard, using think and long lasting stainless steel. Tile Tools. Baby & Toddler. Breakdown & Jump Leads. We always put your satisfation on the first place, trying to do best to serve you. We believe problems can be solved through good communication. 250 Spare 11cm Wax Disks Discs For Large Quarter Pound Burger Press Maker. 12" kitchen fork made from FSC® Certified Beech Wood. Made from FSC® Certified Beech Wood. 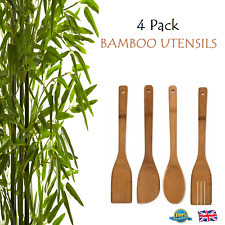 Ideal When Baking,Scraping, Cutting Dividing Pastry, Spreading Icing, use as mixing spoons & Many More Uses. Add to Favourites. View Our Categories. Dishwasher and oven safe. Keep that roast or turkey nice and juicy by basting during cooking. This glass baster can take the heat of bubbling pan juices without melting or cracking. Holds 2 ounces. A kitchen essential Made of stainless steel Mixing bowl This bowl has a capacity of 0.5 litres 13.6 cm Bowl diameter . 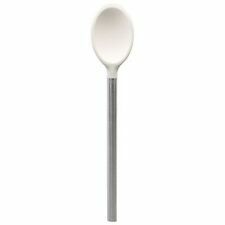 Spaghetti Serving spoon. Product Condition. Cook's Choice 3 Wooden Mixing Stirring Spoons. Great for using when baking. A must have for any kitchen. Egg Whisks. Essential for making the perfect cake. Tea & Coffee. Pots & Planting. Kitchen Essentials. Kitchen Disposables. Kitchen Miscellaneous. Kitchen Appliances. Serving Tongs. Durable design with built in clip to keep tongs closed when not in use. Ideal for weddings, parties and other occasions. Picnic & BBQ. Perfect for serving up food in the kitchen. Food Storage. Mrs. Anderson’s Mini Whisks are perfectly sized for mixing and blending smaller amounts of ingredients in a cup or small bowl. 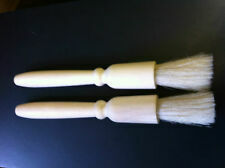 Set of 2 whisks (5-inch and 7-inch). Easily mix beverages, like hot chocolate and protein powders, whisk sauces and dressings, beat eggs for fluffy scrambled eggs, egg custard, and more. Sturdy and durable. Hangs for easy storage; hand wash in warm, soapy water. Kitchen Craft Wooden Beech Wood 25cm Toaster Food Salad Tongs & Magnetic Holder. Nothing ruins a refreshing beverage quicker than having it settle into separate layers of unmixed flavors. With this stainless steel, 8.25" mini whisk, you've got the perfect tool to battle the evils of layering and give yourself the benefits of delicious, fully-mixed flavor! Use it in a gin and tonic, an iced tea, or any other stirrable drink that you want to taste awesome. So go ahead, whisk it, and whisk it good! In stock and ready to ship. Kitchen Craft Flexible Rubber Spatula Spoon Bowl Scraper. It is used for the production of many cheeses including Roquefort, as well as low-fat cheeses such as Tommé. All of our moulds are priced and sold individually. All Purpose Stainless Steel Tongs 12". All Purpose Tongs. Serve up your favorite brownies or cake with Anne Marie's brownie spatula from RSVP. This 18/8 stainless steel spatula is the perfect size for getting those hard to serve brownies and sheet cakes, and it's high polished finish makes it fit right in, in any setting. Never waste the end of the jar of peanut butter or jelly again. The jelly knife is expertly designed to reach every last bit of peanut butter or jelly in the jar. This durable knife doubles as a spatula to easily spread peanut butter and jelly evenly on bread. This uniquely designed dishwasher safe knife allows you to get all the peanut butter and jelly from their containers. It doubles as a spatula that allows you to spread peanut butter and jelly with ease. Easy for children to use. A kitchen must have. Compatible with nonstick cookware. High heat resistant to 450F/230C. The handle has a patented shape, ergonomically designed to fit perfectly for right and left hand use.Measures 12 inch /30 1/2cm long.Dishwasher safe.